An assistive listening device (ALD) or personal listening device is used to improve hearing ability for people who are hearing impaired in a variety of situations. 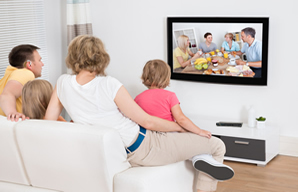 The ALD may be used to help people who are hearing impaired hear televisions and other audio devices such as a radio or hi-fi and also to help people hear conversation. The assistive listening device uses a microphone to capture the audio. A basic ALD will have a 5m microphone to attach to the sound source ie TV etc and headphone. Other systems such as FM broadcast wirelessly over an FM (Frequency Modulation) transmission an IR (Infra Red) broadcast wirelessly over an IR carrier transmission. The induction loop system has a wire around the room. The amplifier amplifies audio signals from the microphone/radio/hi-fi and feeds this around the room - through the loop wire as an alternating current (a.c.) signal. As the alternating current is passed through the loop wire, a magnetic field is generated around it. Inside a conventional hearing aid is a very small coil of wire - this acts as a pick-up if the wearer switches the hearing aid to the 'T' position and stands inside the induction loop area. A direct copy of the audio signal reaching the microphone is now 'induced' in this coil and the hearing aid converts this electrical signal back to audible sound for the wearer to hear. The person who is listening with any of the above may listen at his/her preferred volume. If a audio connection is made to an output socket on the TV ie SCART, Optical, Headphone, Phono etc the TV sound can be muted or turned to a comfortable level for other users.